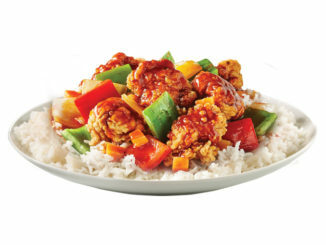 Thaï Express announces the introduction of two new limited-time dishes – the Lemongrass Beef Bowl and Surf ‘n’ Turf Pad See Ew. 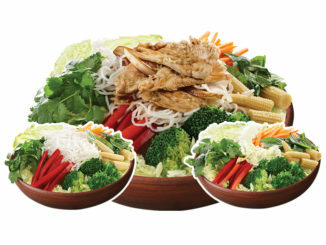 The chain’s new Lemongrass Beef Bowl features broccoli, carrots, baby corn, red pepper, Napa cabbage, iceberg lettuce, coriander, mint and Thai basil, all topped with thin vermicelli noodles, tender beef freshly stir-fried with aromatic lemongrass, and a savoury Thai dressing. 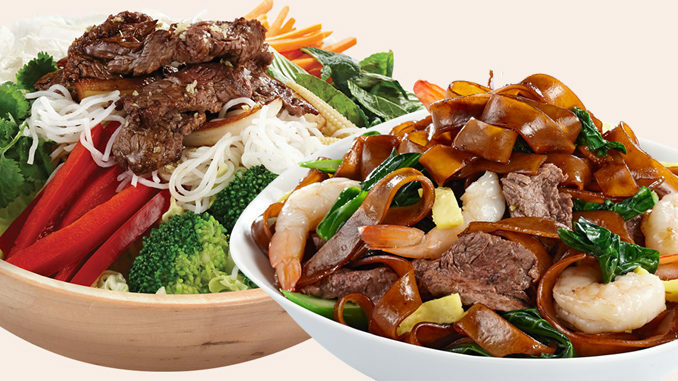 The new Surf ‘n’ Turf Pad See Ew features beefed up Pad See Ew rice noodles paired with shrimp and beef for a new surf and turf take on a classic Thai favourite. 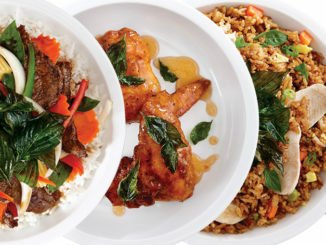 You can find both new dishes at participating Thaï Express locations across Canada for a limited time.